Posted bychuckpattersonsports	 December 23, 2009 December 23, 2009 Leave a comment on should i stay or should i go?? Woke up early to the sound of wind chimes going crazy and my cell phone ringing off the hook. 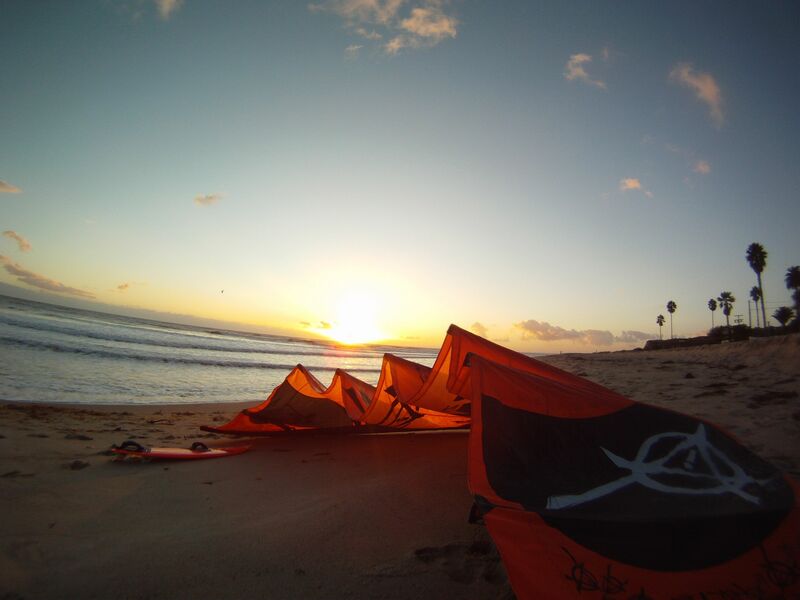 The word was out that the wind was blowing 30 and the swell was still well over head making it a promising day for a good long downwinder kiteboarding down the coast. 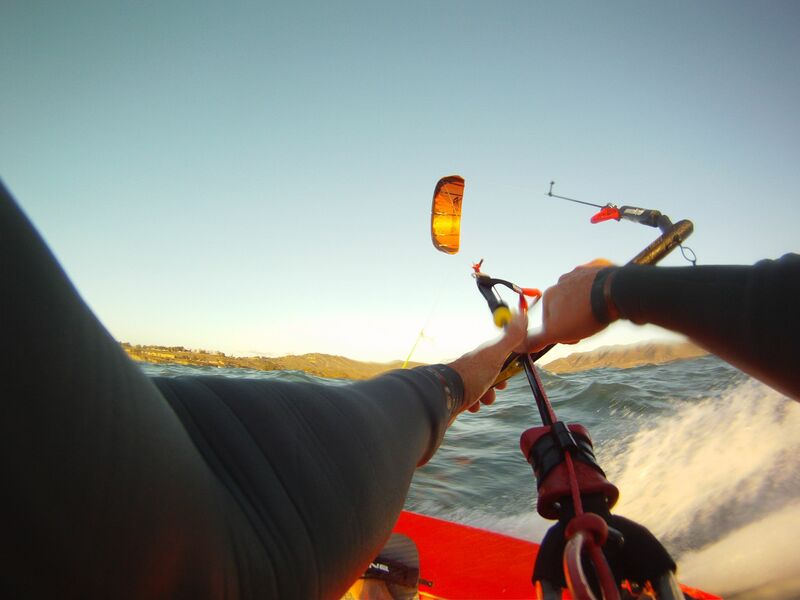 I got a quick work out in, finished a couple errands and then met a friend to drop a car off in San Clemente and then continued up to Laguna beach, where we started our 10 mile downwinder. “There’s nothing better then living in a place where you can do it all; it’s no Hawaii, but for my lifestyle, it’s perfect”. 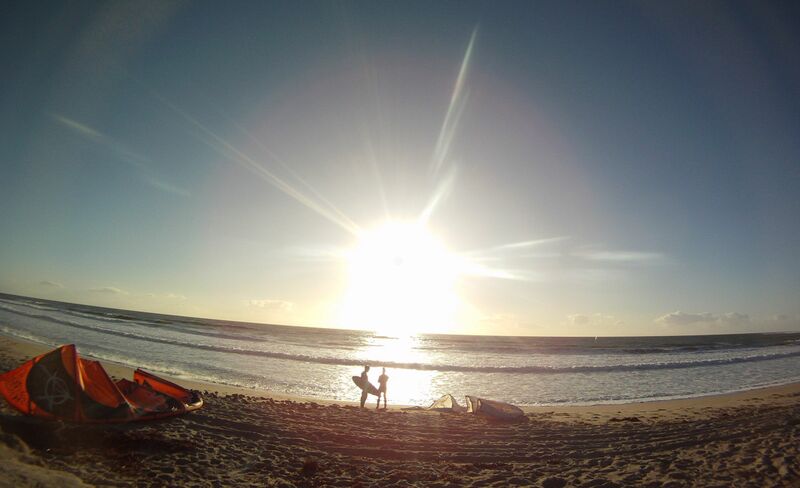 “Every sport helps me train for the other”..
We hustled and got a quick bite to eat and made plans to hit up Trestles for an afternoon kite sesh, after a little work. We rallied kind of late as the wind was already starting to die down. should I stay or should i go???? What do you do; rig a bigger kite, decide to call it because the morning session was all time, or just waist time talking about it on the beach as the wind gets even lighter??? 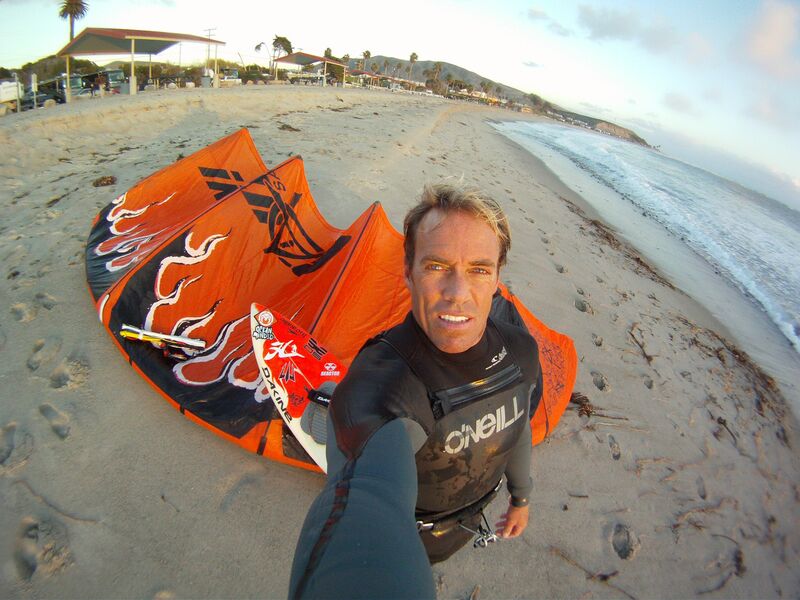 I fall victim to the peanut gallery in the parking lot and rig up my bigger kite, with short lines and work my way up wind to Trestles. Sure enough most of the kiters are on there way in, but at this point, I’m wet and just powered enough to get a couple waves. I get a couple good long set waves through the inside where the wind shadow starts and quickly kick out before getting too underpowered. The wind keeps getting lighter, but I’m greedy; just one more wave, that’ all I want. Sure enough, my greed gets the best of me as I ride my last wave through the inside and on my last turn, my kite drops out of the sky right into the shore break. What an idiot… I can’t remember the last time I did that. looking on the bright side, I got off easy... ha ha..